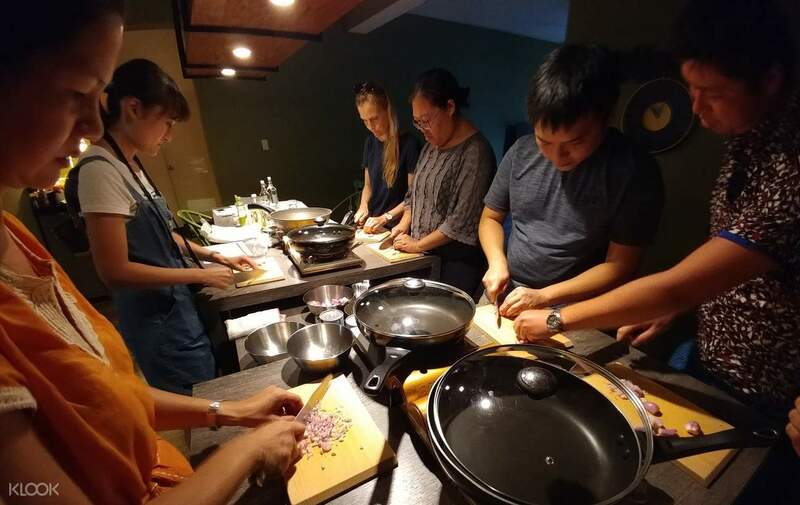 Immerse yourself in the rich culture of Taiwan with this cooking class and market tour! Known for its lively food markets and Michelin-starred street food, Taipei is every foodie's dream destination. Learn more about the local culinary heritage with this cooking class and market tour! Skip the busy food markets and opt for some place quiet, like Dongmen Market. Gather fresh ingredients at this laid-back market with the help of Chef Wayne, a local expert that will lead your gastronomic experience. Visit tofu shops, fishball stalls, and other specialty places for a taste of Taiwanese staples while you gain a deeper insight into the history of Taipei's food scene. After shopping, head to Yongkang Street for your class. Get your hands dirty with herbs, spices, and meats as you discover the secrets behind the distinct flavors of your chosen dish. 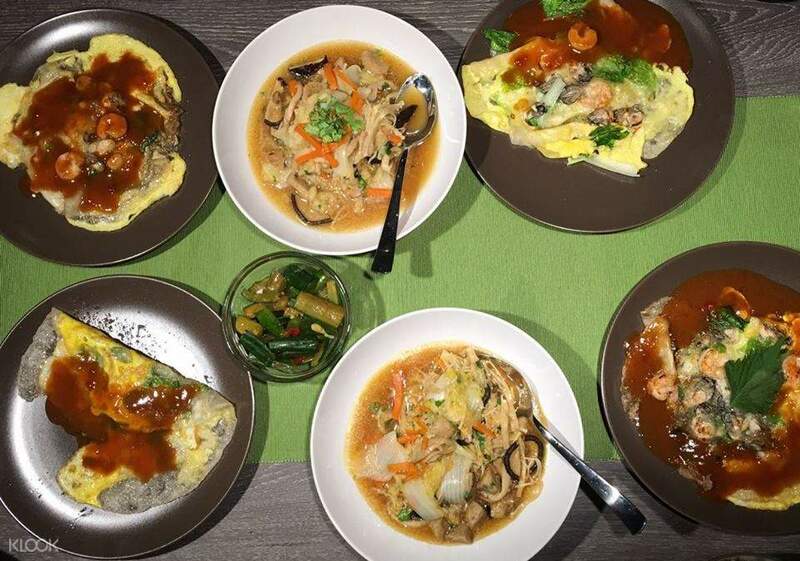 Whip up a dumpling, omelet, or soup on your own with the help of the complimentary English, Chinese, and Japanese recipe cards. Sample your creation - as well as your group's - during the meal tasting session at the end of the class. 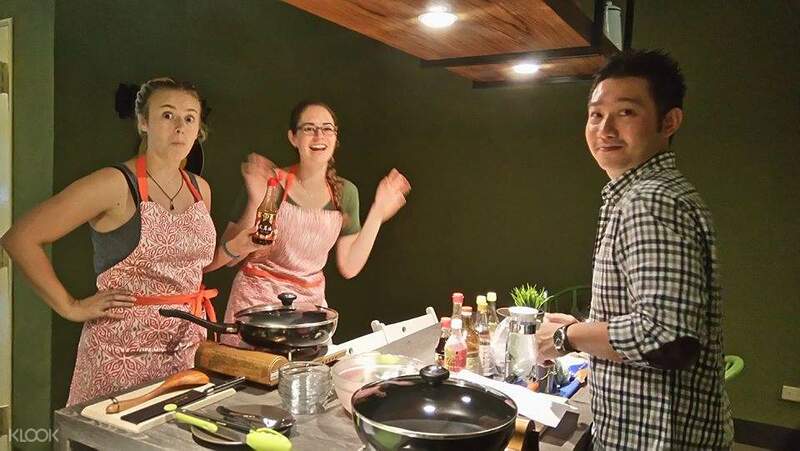 Book a class date now for a cultural and gastonomic experience in Taipei! Wayne and Ginger were extremely friendly! We were taken around the Dongmen market, shown local delicacies, before proceeding to his studio to make the dishes. We were able to customize the menu to our preference so feel free to message Wayne about your preferred menu. Wayne and Ginger were extremely friendly! 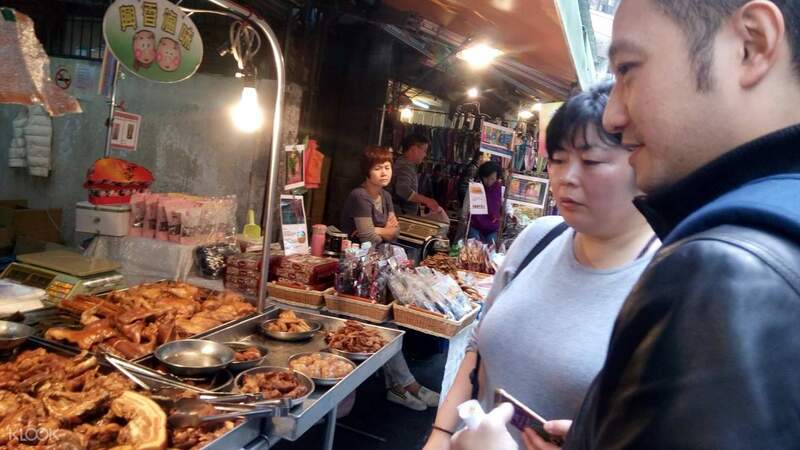 We were taken around the Dongmen market, shown local delicacies, before proceeding to his studio to make the dishes. We were able to customize the menu to our preference so feel free to message Wayne about your preferred menu.